Maldives features some of the most exquisite marine environments on Earth. Laden with coral reefs and sandy atolls, there is every reason to go on a diving trip to the Maldives. Witnessing the underwater realm of this remote location is a once-in-a-lifetime experience. The fish species are diverse and coloured in every spectrum. Striped or spotted, there are also many other sea creatures to look out for. The underwater ecology of the Maldives is tremendous. 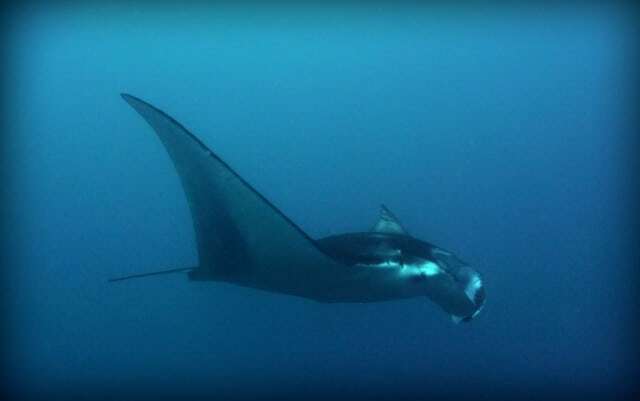 Host to manta, marble and eagle rays, the sea is alive with peaceful sharks of many kinds. Grey reef, nurse and whale are just a few of sharks types that Scuba Divers have the chance to see when diving in the Maldives. On the seafloor, unique crustaceans and molluscs offer a spectacle of their own: colorful nudibranchs, crabs and shrimps can be spotted in every dive. For divers of any level, whether beginner or expert, it is possible to enjoy a holiday in Maldives from an underwater perspective that is second to none. Taking a liveaboard trip in the Maldives can fill the mind with beautiful images. Surrounded by quick-moving schools of fish, a feeling of awe is apparent as you immerse yourself in the turquoise waters. From the north to the south of the atolls, a liveaboard itinerary can provide divers with convenience and comfortable luxury. Enjoy a relaxed trip among the best diving spot in the Maldives. When booking a vacation in the Maldives, it is best to travel light, and arrange appropriate dive and travel insurance ahead of time. A valid passport is also required for entry into the country. 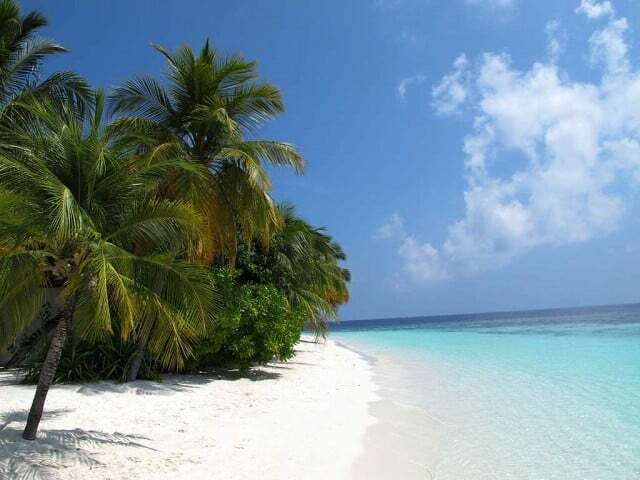 Maldives is a popular dive destination and attracts Scuba Divers from all over the world. As remote as it may seem, its international airport connects with flights from Europe, US, and Asia on a regular basis. Domestic flights are also scheduled and are a reliable means of transferring divers to their next adventure. Although the Maldives are known the world over for the stunning beaches and azure waters that typify the tropical idyll, its life beneath the water’s surface is becoming ever more respected by divers in the know. The Maldive Islands have some excellent coral reefs, but it’s the abundance of fish life throughout the country that sets it apart from other dive destinations. Most diving in the Maldives is drift dives from liveaboards where you allow the current to move you along. Due to the myriad channels and passages between the atolls, the currents sweep and play throughout the island chain so that nutrients are always on the move. This accounts for the vast numbers of fish enjoying the passing feast and you can expect to see Napoleon wrasse, parrotfish, snappers, barracudas, jacks and sweetlips in every site where the water flows. In the channels, you can explore the caves, caverns and overhangs where soft corals proliferate, and there is a riot of colourful sponges, invertebrates and gorgonian fans all profiting from the nutrient-rich water. There are also plenty of cleaning stations where cleaning wrasses and shrimps service the larger marine species. Inside the atoll lagoons you often find pinnacles of rock vaulting up almost to the surface. These are known locally as ‘Thilas’ and are often bejewelled with sessile life forms. These formations bring water up from the ocean floor against their walls, feeding the sponges and soft corals that cling to its sides as well as creating an environment that supports a plethora of crustaceans and schools of resident fish. 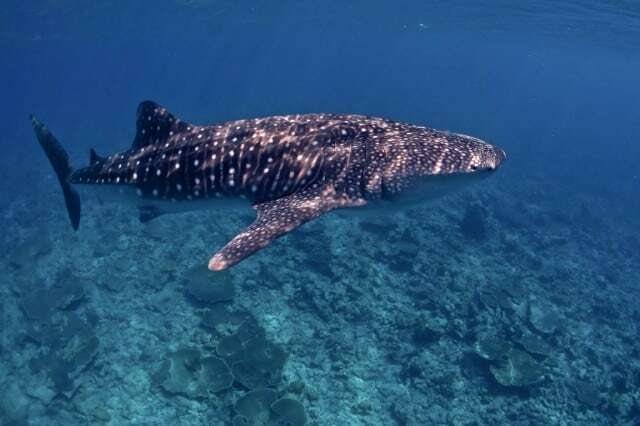 Slightly removed from the reefs, you are likely to spot the pelagics that frequent the Maldives, including manta rays and eagle rays and a variety of sharks including the mighty whale shark. Wherever you look there is likely to be something of interest going on and for many it is in the shallows where the best of the action takes place. Here the clear water, brightly illuminated by the sun’s rays and playing host to great numbers of fish, provides an ideal environment both for photographers and divers alike. During the El Niño of 1998 some shallower areas of the coral reefs have been adversely affected by bleaching. However the accepted view is that while the reefs are returning to their former colourful glory, the marine life has never dwindled and indeed many believe it has increased in numbers over the past few decades. A very common question and here is the most sensible answer to that question. people. One of the most dangerous sharks in North America is the great white shark, found along the Pacific coast between Mexico and southern Canada. Another one to watch out for is the tiger shark, which lives in the warmer Atlantic waters off the coast of Florida and around the islands of Hawaii. Shark attacks really are pretty rare. For instance, there are usually only two or three reported in Hawaiian waters each year. There are different ideas about why sharks attack people. Tiger sharks, it seems, may attack because they get confused in murky water — and mistake surfers in black wet suits for seals. Reef sharks seem to attack because they are territorial animals, protecting their piece of the sea. The whale shark, which has 5,000 teeth and can grow up to 50 feet long, is the largest type of shark. However, it prefers food like small fish, shrimp and plankton, and therefore is not dangerous to people.